As Horsham recorded the biggest fall in unemployment in West Sussex last month, according to official figures, the town’s JobCentre Plus office said it was assisting with recruitment for a new Dunelm store in the town. In addition, the homeware specialist is advertising for a store manager and assistant managers at a ‘new shop’ in the town on its own website. Simon Hobday, relationship manager at the Jobcentre Plus in Horsham, said the store was set to create around 80 new jobs. The site of a new Dunelm store has not been confirmed by the company. 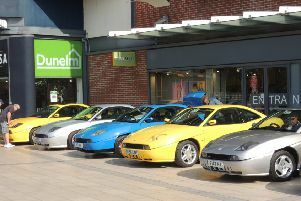 However, department store Beales announced in March it would be closing its Horsham branch in The Forum in July. According figures released by the Office for National Statistics (ONS) on Wednesday (May 18) 395 people were out of work in the town in April. The total shows a fall of 8.1 per cent on the previous month and a year on year drop of 28.8 per cent. Both are the biggest falls in West Sussex. However, the total number of young people out of work in the district has stayed the same. ONS figures show 50 people between 18 and 24 are claiming Jobseeker’s Allowance, the same as the previous month but a fall of 41 per cent on last year. The county as a whole saw unemployment fall to 3,855, a decrease of 4.1 per cent over the month and a yearly drop of 18.8 per cent. West Sussex’s young jobless total was down two per cent on March 2016 to 530, which was also a drop of 41 per cent on last year. Mr Hobday said Horsham was particularly buoyant and was very pleased with the continued drop.